A few days ago I finished the first Fish Quilt. Here's the other one. Again, it was pieced by another guild member, but I did the quilting and added the binding. 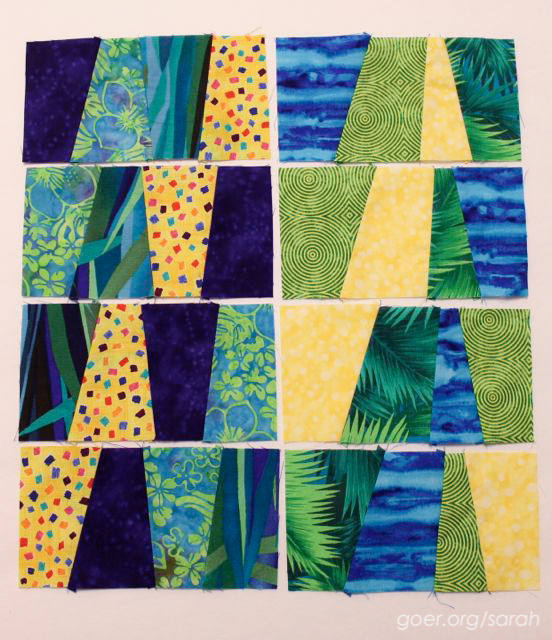 No cute fish patterns in my quilting this time. I took the opportunity to practice a new pattern that I then used on Antioxidant Delight. I'm so pleased to have two completed quilts to return to the next SCVQA meeting next week. Oh, and I ran across this cute, free printable Quilt Progress Tracker. It does beg the question, fellow bloggers... do you usually wash your quilt before or after you photograph it for your blog? 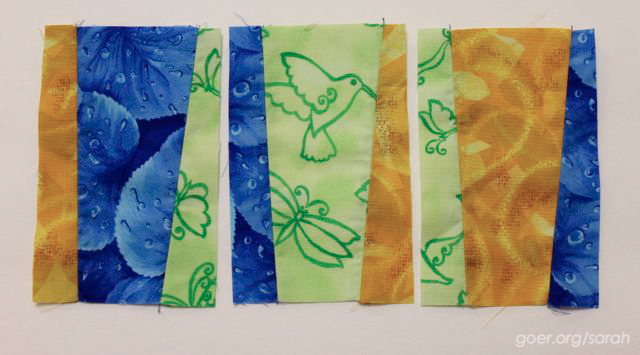 I've linked up to WIP Wednesday at Freshly Pieced. Posted in Quilting. Tags: wonky blocks on September 17, 2014 by sarah. 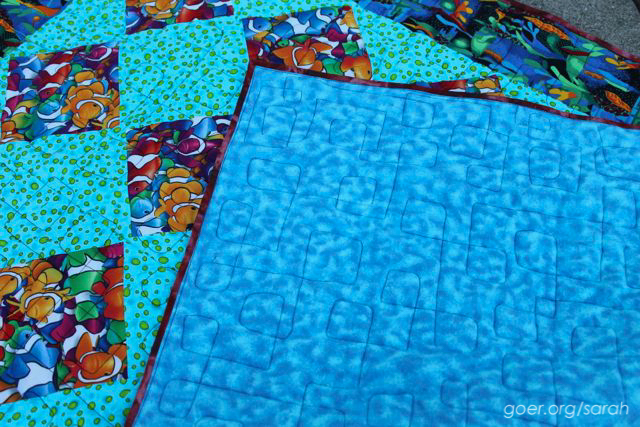 I prefer to photograph my quilts before I wash them. They usually don't look as nice. I really like this quilt Sarah. It looks like fish swimming in a fish tank. Well done!! You use the cutest fabrics. Love your quilt. 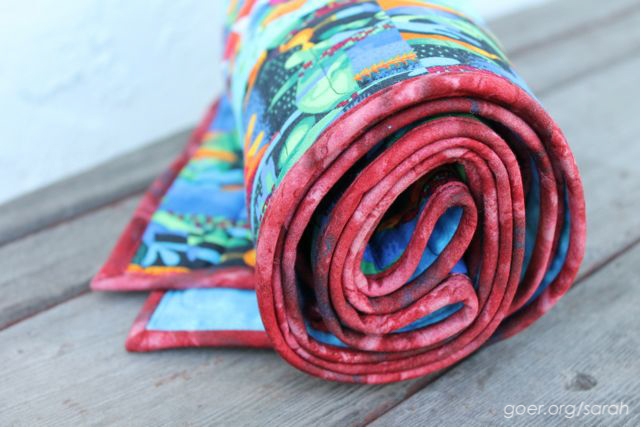 Thank you, but the only fabric I can take credit for on the fish quilt is the binding. 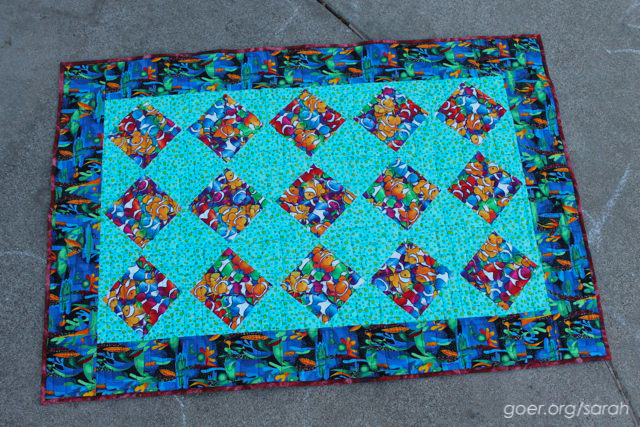 :-) Another guild member pieced the quilt top. I always wash them before I photograph them. For one thing, I write all over them with washable marker: order of assembly, quilting guidlines, etc. Also, I think they look much better washed and crinkly. Good point. What brand of marker do you use? Thanks for visiting.